While the work on an official Decred GUI wallet is still going on we are getting interesting new unofficial alternatives popping up, after the release of the DecredJWallet now we have another Java=based GUI wallet for Decred (DCR) available. The new GUI wallet (source) looks quite nice in terms of interface and offers a bit of extra functionality as compared to DecredJWallet, but do note that both are still in beta and there could still be some bugs needing to be fixed. Still, the GUI wallets for Decred are making things much easier especially for novice users that are not very fond of using console commands. We know all too well that in order for a crypto currency to be successful it needs to be widespread and easy to be used by as many users and relying only on console clients is certainly not the best thing. But then again it also takes some time for things to be developed, especially when you are not just cloning an existing codebase, but are developing something new as is the case with Decred (DCR). The altcoin Decred (DCR) had a bit of a rough launch and it seems that there might be some work required to optimize things and make them run smoother in terms of block time and difficulty adjustment, still the coin launched with a lot of user interest and large amount of hashrate was thrown at it right from the start. Still one of the major complaints about Decred (DCR) is the lack of GUI wallet and the need to do everything via the console which is a problem for many not so advanced users. Many of you might remember a few months ago when Ethereum has officially launched and the mining started it had the same issue – there was no official GUI wallet available at launch. Decred has an official online wallet that is currently available, however many people are complaining of issues trying to claim their airdrop coins or even do a simple transaction via the web wallet, we’ve had our fair share of issues trying to use it as well. 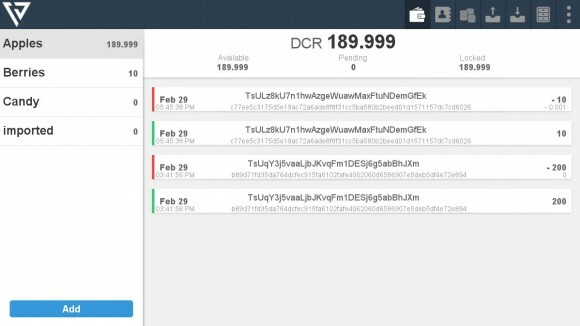 So here comes DecredJWallet (source) to help you with the best thing you can currently use as a GUI wallet for Decred (DCR). DecredJWallet is a user made Java-based GUI wallet for Decred that interfaces with dcrd and dcrwallet as a backend providing a more user friendly interface for doing simple tasks via a graphical interface such as checking your balance, viewing transfers made or send and receive coins. In order to use the DecretJWallet GUI wallet you need to copy the JAR file of the wallet where your Decred binaries are located and double click it to run it. 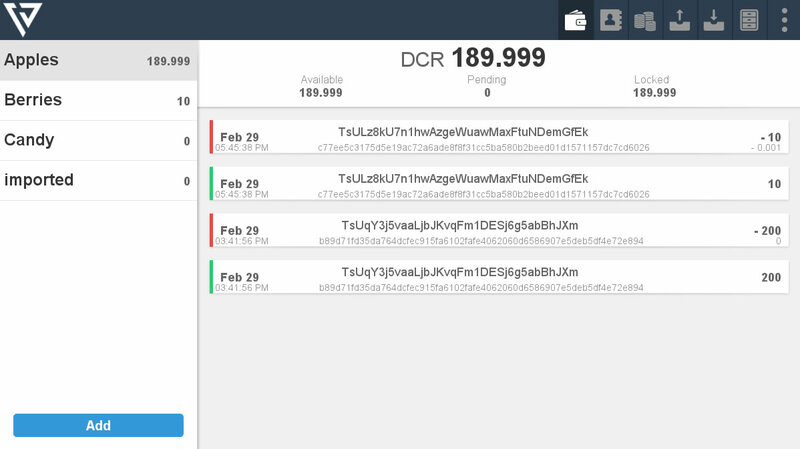 Then you need to provide the details to connect to the Decred daemon, no need to run it manually, the GUI wallet will do this for you after you provide the connection details. The best thing is that you can just run DecredJWallet on top of already working Decred node and will open your existing wallet if you have generated one already. 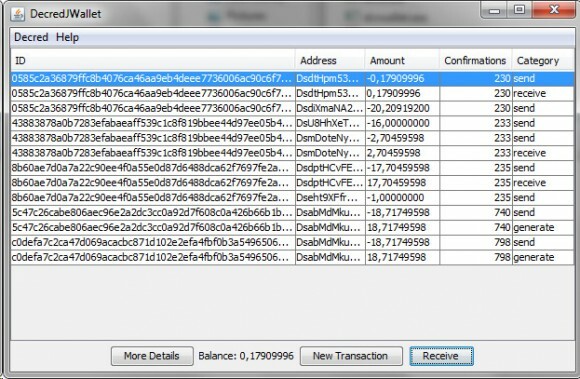 So if you are having trouble using the online wallet or the command line tools then check out the DecretJWallet as it may be quite helpful and make your life easier, it works on the testnet as well as the mainnet, we have tested it on the main network and it worked just fine.